Overwatch esports offer something for everyone: wide-ranging tournament series that challenge players of every skill level, high-intensity games cast by top announcers, and talented teams from all over the globe. Your pathway to professional Overwatch esports begins in Competitive Play mode, and continues all the way through to the Overwatch League. Whether you’re a veteran of the global stage or taking your first dive into organized team play, there’s an Overwatch tournament for you to follow—or join! Overwatch PC players of any skill level can participate in the Overwatch Open Division by choosing to play in Korea, China, Australia, South America, North America, Europe, or the Pacific region. If you’re a competitive-queue hero looking to try your hand at organized competitive play, this is your chance! At the close of each Contenders season, the top four Open Division teams from each region will be invited to compete in that region’s Contenders Trials, an eight-team promotion-relegation tournament for Overwatch Contenders. Joining Overwatch Contenders is a major milestone for any aspiring Overwatch pro player. In each of the seven regions, twelve teams will assemble up-and-coming rosters to compete across multiple seasons annually. Those who emerge victorious have an increased chance of being noticed by scouts for the Overwatch League. The Overwatch League, the first major global esports league with city-based teams, is designed to celebrate only the best of the best. Though it currently comprises hand-picked champions, future competitors are likely to be selected by Overwatch League scouts from among talented Overwatch Contenders, ensuring the Overwatch League will be continually filled with proven athletes. With the stability of salaries and benefits, the best career Overwatch players in the world will clash year-round in pursuit of the Overwatch League Championship—and millions of dollars in bonuses! 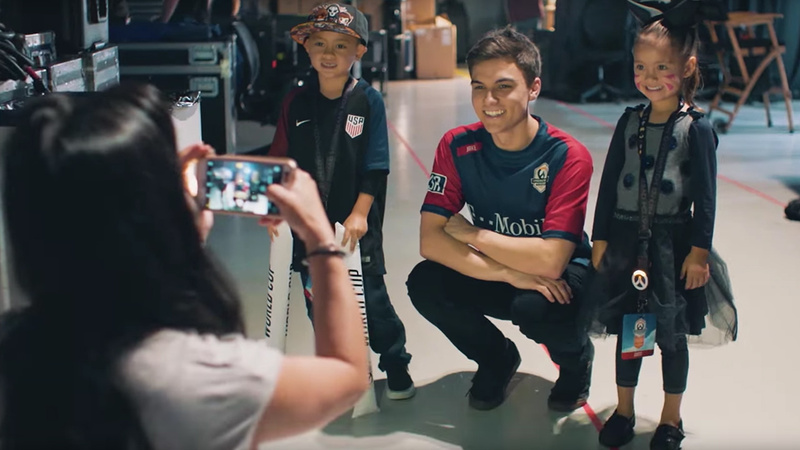 The Overwatch World Cup hosts national teams from all over the world, but it’s the Overwatch community that really makes the competition top-notch. Viewers vote for their nation’s representatives, who select the strongest team from that nation; then, the chosen teams advance through competitive group stages before battling it out at BlizzCon!